PPU, .32 S W Long, LRN, 98 Grain, 50 Rounds is rated 4.7 out of 5 by 34. Rated 4 out of 5 by JimW from Good Ammo Shot a box of these with no problems. Bullet seating on some cartridges was less than perfect, but all chambered fairly easily. The cartridges that were not perfectly concentric were all good enough to load with only a small push. Rated 5 out of 5 by Doby from Great price for great ammo I am shooting this from a 110 year old H&R Large Frame Topbreak. I've read that the ammo is a little dirty, and that may be true in a revolver made for .32 H&R Mag or .327 Ruger. The chambers in those revolvers are longer than mine. I found it to be relatively clean burning in my old topbreak. Also read a complaint that it isn't jacketed. Well for me, that is perfect. My revolver was made for lead bullets and I'd be afraid that a jacketed bullet might prematurely wear my currently perfect rifling sooner. They are advertised as a round lose lead bullet but that is a bit misleading. The actual shape is like some sort of round nose semi-wadcutter. Pretty accurate in my gun. I like this ammo very much and - it isn't $30 a box like I was expecting. Recommended ammunition, especially from a vintage revolver in this chambering. Rated 5 out of 5 by pricecat from Great Value Great price for hard to find caliber and fast shipping. Rated 4 out of 5 by John Galt from Value and Reliability. I shoot this from a Charter Arms Undercoverette in .32 H&R Magnum when I want something w/ less recoil and cheaper to shoot. The cartridge is reliable and accurate with minimal (almost no) recoil. It's a tad on the smoky/dirty side, and it's not copper-jacketed, but it's a fair tradeoff for the overall value you get. Prvi Partizan is often one of the best values in many calibers. 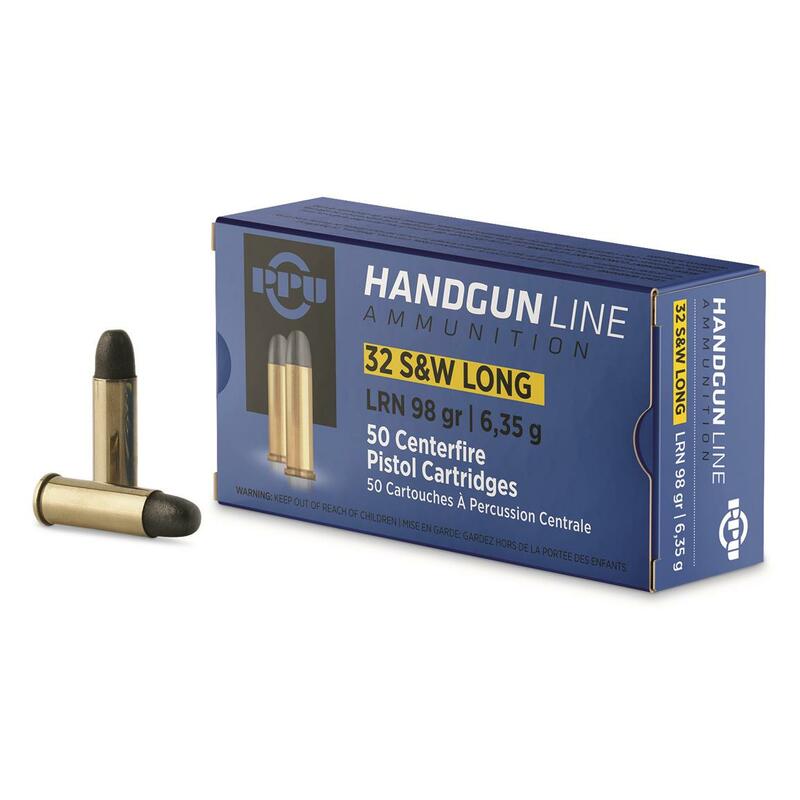 Rated 5 out of 5 by HighStandards from Excellent price on this target ammo. SG's price was very good on this ammo. It provides a lower-cost alternative for target practice in a Ruger LCR .327 Federal Magnum revolver. The PPU ammo functioned flawlessly. The recoil with this ammo is close to that of the Hornady CD .32 H&R Magnum rounds. It leaves a good bit of powder residue so the gun needs a good cleaning after each use, but revolvers are easy to clean anyway, so that does not bother me. Great practice ammo. Rated 5 out of 5 by telmanmn from bought another box As before, first box ok so bought another.